BATTLE GROUND — The city of Battle Ground begins the new year with a new mayor. Council Member Mike Dalesandro was appointed to be the city’s mayor on Tuesday and has begun a two-year term in that position. The city of Battle Ground operates under a council-manager form of government. Under this form, each council member is elected by the people, and the mayor is appointed by the council from among the current members. Dalesandro said that the selection of the mayor is run by the city clerk, who asks the council if there are nominations for mayor. This year, there was only one nomination. Dalesandro said that there would have been a written ballot if more than one nomination was received. Once the mayor was appointed by the council, the deputy mayor was then selected. 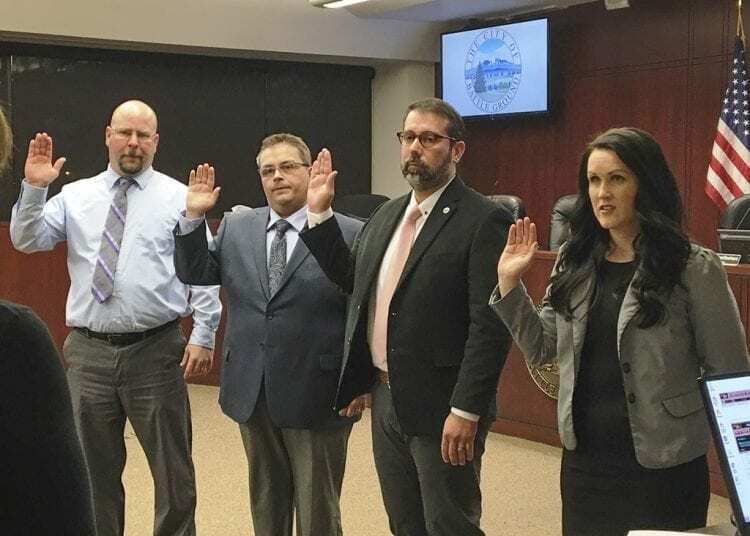 Battle Ground’s new deputy mayor is Council Member Shane Bowman, who served as the city’s mayor prior to the last two-year term, served by Philip Johnson. According to Dalesandro, in Battle Ground the mayor is essentially still a city council member. The position does not grant any additional executive powers to the mayor. Dalesandro said that the mayor’s duties consist of running council meetings, serving as a ceremonial figurehead for the city, making recommendations for appointments to city advisory boards and commissions and working with the city manager to set the agenda. Dalesandro was first elected to the city council in 2013, and was reelected last November, when he ran unopposed. 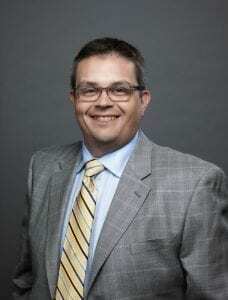 Prior to his election to the city council, Dalesandro served on the city’s Planning Commission from 2008 to 2013. Dalesandro said that he first became involved in local government because “I want to live in a community where basically it’s a great place to raise a family.” He said that he ran in 2013 with a focus of bringing positive leadership to the city, and a focus on ensuring money was used well, as well as helping to facilitate infrastructure improvements and public safety. As mayor, Dalesandro said that he wanted to focus on the perception of the city as well as more concrete operational aspects. The main focus of the perception of the city is “connecting with all the constituencies we can in the community, [and] involving them in the governing process,” Dalesandro explained. He said that 2018 will be an “excellent opportunity” to reach out to Battle Ground residents, as the city is planning to embark on a long-term visioning process that will reach out to the community. One of the duties of the mayor is the ability to issue proclamations and special recommendations to people in the community. Dalesandro said that he wants to help residents in Battle Ground recognize the contributions of city workers as well as community members to the city. He said that he hopes to guide the city council to look at both short-term and long-term issues facing the city. Short-term issues Dalesandro hopes to help the council address include ongoing traffic issues in Battle Ground as well as other infrastructure projects such as reconstructing 20th Avenue and infrastructure in the eastern section of the city. “Dealing with the immediate impacts of growth right now is a huge concern,” Dalesandro explained. Dalesandro also hopes to lead the council in finding solutions that are not just short-term fixes to issues, but can help provide long-term, future-oriented goals and solutions. At the beginning of his two-year term as mayor, Dalesandro said that he wanted to recognize the work of city leaders before him and for the example they set. He said that the city has been fiscally responsible and has stewarded taxpayer money well. Council Members Brian Munson, Adrian Cortes and Cherish DesRochers also took oaths of office on Tuesday. Munson and DesRochers were initially appointed to council in July and December of 2016, respectively. Cortes is the only newly elected member of council, but served on the council from 2012 to 2015. Council members Johnson, Bowman and Steven Phelps are entering the third year of their current four-year terms.